Obituary for Mark W RADCLIFFE JR | C. R. Strunk Funeral Home, Inc.
Mark W. Radcliffe, Jr., 76, of Quakertown died February 10, 2019 in St. Luke’s University Hospital, Bethlehem. He was the husband of Janet H. (Porter) Radcliffe. Born in Baltimore, Maryland he was the son of the late Mark W., Sr. & Virginia (Stauffer) Radcliffe. He was a manager for Hull Corporation before his retirement. 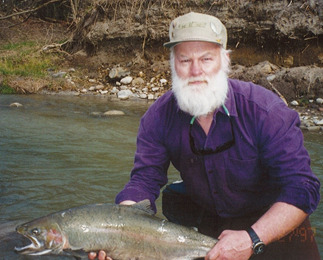 Mark was an avid fisherman, and was known as the “Happy Fisherman.” After his retirement he loved his cigars and sipping on his scotch. He also enjoyed camping in Maine and loved to eat lobster. In addition to his wife he is survived by a son Matthew and his wife Dottie of Gettysburg, PA, a brother Michael, a sister Wendy Rosenberger, granddaughter Hannah and a great grandson Jaxson Mathew. Please join the family on Saturday, February 16, 2019 where visitation will begin at 10:00 A.M., in the C. R. Strunk Funeral Home, Inc. (www.crstrunk.com) 821 W. Broad St. Quakertown, PA 18951 with the service to follow at 11:00 A.M.